That many celebrated fiction-writers began their careers rather humbly as poets is perhaps one of the literary world’s worst kept secrets. And although it is generally acknowledged that behind renowned novels by the likes of Margaret Atwood, Michael Ondaatje, Angela Carter and David Malouf lurk often-ignored early small press and/or self-published poetry books and chapbooks, the connection between an author’s poetry and her fiction is often viewed as a trivial thing, e.g., as a testimony to the writer’s supposed versatility. A more curious reader, however, would instead see the relationship between the different forms of writing by the same author as a more intricate and dynamic movement among – to use philosopher Michel Foucault’s famous phrase – ‘discursive formations’. In other words, it would be more apposite to see an author’s work across forms and genres as an attempt to explore and explicate an argument or worldview using a variety of literary forms and techniques, instead of mere playfulness or textual promiscuity. It is this awareness that informs my reading of the latest poetry collection by one of Australia’s leading contemporary fiction writers, Cate Kennedy. The success of Kennedy’s prose over the recent years requires no elaboration here. Suffice it to say that her 2006 short-story collection Dark Roots, after confirming her as one of Australia’s most talented fiction writers, went on to be published in the US by the legendary Grove Press, and to receive overwhelmingly positive reviews in The New York Times, the Guardian and Oprah Magazine. She has also written an award-winning novel, a work of creative non-fiction, and two other collections of poetry: Signs of Other Fires, as part of Five Islands Press’s (now discontinued) New Poets Series in 2001; and Joyflight, published by Interactive Press in 2004. Such a variegated output over the last ten years may be seen as a sign of Kennedy’s wavering interest in a particular type of creative writing. 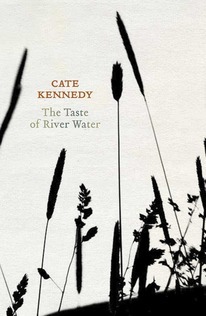 But, as clearly demonstrated in her new collection of poems The Taste of River Water, far from spreading her considerable literary talents too thin by covering wildly disparate themes and styles, Kennedy’s work over the years has maintained a more or less coherent aesthetic and discursive trajectory, one that strikes this reviewer as highly engaging and, yet, also limiting. The most pertinent observation one could make about the poems in The Taste of River Water is perhaps the most obvious. Kennedy’s poems are guided by what I’m tempted to call – after the title of a fiction-writing manual – a passion for narrative. Kennedy has an exceptional skill for embedding the elements of narrative (most effectively, in her case, plot and linear structure, as well as techniques such as the historical present) in writing about a range of subjects in her poetry. Her ability to plan and execute the course of her text’s semantic development – to create surprise, drama, twists, mystery, comedy, and so on – has been one of the key strengths of her fiction, and has also fomented a number of highly readable and gripping narrative poems in The Taste of River Water. My mother sighs, next to us on the couch. She is knitting a cable-knit cardigan. ‘I’ll never understand how you get your brains around it. purl purl plain plain plain, purl purl plain. The poem could have ended with this rather quirky image. As a practised storyteller, however, Kennedy realises that in a narrative an image, no matter how vivid, has no life of its own outside of the plot; and that its efficacy comes not only from what it evokes on its own but also from its ability to affect and connect with the sequence of events depicted in the story. ‘Swimming class’ continues for another two stanzas – stanzas which, in their precise and programmatic nature, strongly resemble paragraphs of a short story – in which the children respond favourably to the special needs swimmers’ ‘chorus’, resulting in the narrator and other parents joining in the singing and realising that there is something sacred (‘like a benediction’) about such incidents of immersion in a people’s common humanity. Poems such as these bring me to see Kennedy’s overall discourse as what the thinker Walter Benjamin described in his seminal essay ‘The Storyteller’ as ‘[a]n orientation toward practical interests [which] is characteristic of many born storytellers’. Kennedy’s commitment to a causal progression of events and perceptions makes for a tight and unified text – be it in prose or in poetry – but in Kennedy’s writing plot is not an end in itself and strikes me as a means for conveying, in Benjamin’s words, ‘something useful’. Her poems are driven by, and almost always succeed in delivering, at times humanistic, at times moralistic, messages of hope, compassion and endurance. In the case of ‘Binaries’, for example, the clever twist at the end serves as an indeed useful reminder that a seemingly simplistic (feminine) hobby such as knitting is effectively, if not self-consciously, as systematic and sophisticated as a (masculine) profession such as computer programming. In the case of ‘Swimming class’, the story serves as a vehicle for challenging the divisions that cause disunity and segregation within society. A poem evoking an Anzac Day dawn service in a domestic setting shifts the reader’s attention from images of ‘men coming over battlements’ and ‘a glint of bayonets over the cliff’ to the a baby’s ‘slow but determined breathing’, resulting in the poem’s last line ‘calling for peace’. And yet, precisely due to their commitment to functioning as efficient and in many cases thoroughly useful down-to-earth narratives (or, in the words of one commentary on the book, their constituting a ‘no-frills poetry’) Kennedy’s poems are at times enmeshed in an overly instrumentalist and prosaic linguistic condition. The poems’ naturalist, mimetic style, whilst perhaps suitable for telling a prose story, falls short of rising above conventional, at times predictable, phrases and constructions. It is a source of disappointment that many carefully plotted and genuinely sincere poems (many of them clearly based on the poet’s personal experiences) suffer from a lack of attention to the meaning and formation of individual lines and sentences. The first line of the second stanza of ‘Swimming class’, for example – ‘We mothers nurse our sturdy, solid-fleshed toddlers’ – creates a number of problems for the more attentive reader. Why has the author used both ‘sturdy’ and ‘solid-fleshed’, since the two have rather similar meanings? Why, at any rate, is she running the risk of overstatement by using two adjectives? And, finally, isn’t it universally accepted that most toddlers are indeed ‘sturdy’/‘solid-fleshed’, hence the title of a very popular book on parenting, The Mighty Toddler? Stating the obvious, tautology, and a degree of hyperbole bedevil many poems in this collection. In ‘Mud wasps’ one comes across wasps that build, as one would expect, a ‘bulbous nest;’ in ‘How to play Marineboy’ a ‘two-foot-six backyard swimming pool’ is described at the end of the poem as a ‘small blue oasis;’ in the title poem, a river’s ‘deep spots’ are described later in the poem as ‘dark shadowed holes;’ and so on. While one does not doubt Kennedy’s skills as ‘a born storyteller’, one cannot help but wonder about the level of workshopping and editing that may have gone into The Taste of River Water, a suspicion compounded by the absence of an acknowledgment to a poetry editor anywhere in the book. As such, and considering that only nine out of the book’s 41 poems have been previously published, would it be too unwarranted to question the readiness of this collection for publication, and to wonder if this book does indeed do justice to Kennedy’s talents and to her standing as a major literary figure? and revealed by the stark shift of pain and surprise. where they each slipped free of the earth. This review is about as intelligent as the one you did of Goodfellow’s ‘Punch On Punch Off’. And you come across as an elitist with no understanding of the demotic or the ‘discourse’ used by anyone outside of the 37 and 1/2 people you write for. And btw Scribe might have a 35-year history — but how much of that was spent in hibernation? Thanks, Ian. Not sure if there’s much I could or would like to say about your (sadly) ongoing frustration re: the review I wrote about ten years ago, but I will briefly point out that accusing others of elitism doesn’t really become a person of the Left — this is a properly populist, anti-intellectual slur aimed primarily at writers and thinkers of the Left by the demagogues of the Right. The real elites are not the likes of me who question the efficacy of an overly prosaic style in poetry; they are the ruling class that control the means of production (and I can assure you that I don’t belong to such a class.) As for the ‘demotic’, I’m not sure if the term has much application in this context. I’d rather use that term in linguistic contexts where there exist significant differences (in terms of grammar, script, etc.) between the contemporary spoken and the classical written languages. I wonder if the word/concept that better captures what you have in mind might be (Eichenbaum’s) skaz. Anyhow, thanks for the comment, and please do try to remain civil in the future. Ali. There is a pattern in your writings that suggest you belong to one school of thought that sees itself as knowing some truth about poetry. And in your review you end up patronising Kennedy in much the same way as you patronised me in the post above. Your review of Goodfellow (which was probably one of the stupidest things I’ve ever read) made me suspicious of your thinking and nothing I’ve read since has encouraged me to think otherwise. I have not read Kennedy’s short stories nor her poetry (other than what’s included in this review) but can see the narrative drive alluded to by the reviewer, and the poetic contrast in ‘Joy flight’. I’m not a great fan of the prosaic arranged in lines myself (nor non-narrative poetic lines that leave out verbs, for that matter), unless there is a committed political purpose evident. I thought the review fair, balanced and considered, and have no problem with the critique. If anything, it encourages me to read Kennedy, which I will do. Many thanks, Dennis. I’m glad the review has encouraged you to read more of Kennedy’s work — many of her short stories, for example, are quite brilliant. I also quite like (what I think) you mean by “a committed political purpose” in this context. There’s certainly a very strong case to be made for a naturalist poetics that aims to speak truth to power directly. I don’t think a writer can do both well. Hi Shelley. Well I think that a writer can do both well — I just picked up a collection of Paul Auster’s poetry that I quite like — but I think it’s a difficult/rare thing for a writer who happens to be so accomplished in one form to also excel — or to be seen to excel — in another. I don’t see what your problem is with the review. Ali goes to some length to outline what he sees as the strengths of the book. The concerns he raises have been intimated in other reviews by Kate Fagan and by David McCooey in The Age – what’s the big deal? Either they’re all elitists (whatever you mean by that somewhat generic term) or they’re touching on something that is worthy of consideration in relation to the book. As the review says, having certain issues with it doesn’t make it ‘a failure’. A review like this makes all those who practice in the field (and equally those reading) have a think about their own work and what makes it tick (or not). I should stay out of this — and I hope Ian will reply to your comment — but I just wanted to thank you for the comment. Reviewing the book has, as you’ve said, certainly made me think about my own work & movements between poetry and prose fiction. 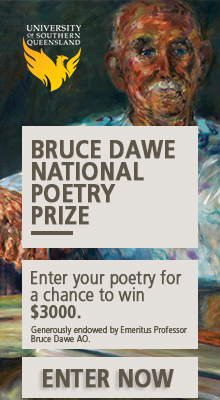 Cam, it’s about the way the boundaries of poetry are policed by gatekeepers who seem sure they have the key to poetry. Ali apologises for his ‘nitpickery’ without acknowledging what a fundamental dismissal that represents. Thanks for the response. There are certainly gatekeepers out there, no doubt. Although I would have thought the recognition the book has received indicates that CK is hardly being locked out. I guess my point is that Ali’s review – in raising the aesthetic questions that it does – at least provokes the reader to consider their own conception of contemporary poetry and poetics. And hopefully, in generating such a discussion, encourages people (as Dennis notes above) to go out and read the book and make up their own minds. The one thing that made me frown reading this was the seeming dismissal of ‘mere playfulness or textual promiscuity’, which is, I would suggest, another way of emphasising the inexhaustible flexibility of language, freed from notions of production or narrative. But then again, I’m hideously addicted to puns. I look forward to reading Cate Kennedy’s book, having enjoyed her short fiction in the past. But I also appreciate reading challenging reviews which do not take all their moves direct from the cheer-squad school of criticism. You dropped your pom-poms here, Ali, and that’s surely a good thing. While I am coming late to this discussion, I still feel that I want to comment on it. While I don’t share Ian Syson’s obvious ongoing problem with Ali Alizadeh in general, I agree with the general point of his response. The review is patronising, primarily in relation to its emphasis on prose writers and narrative. Poets do not have a monopoly on rhythm or precision of language. Many writers of short prose and novels care as deeply about those aspects of the written word as those who only produce poems. I also agree with his remarks about the peculiarly esoteric nature of the review and its small audience. Poetry commentary online includes the narrowest, nastiest assessments of what is ‘acceptable’ writing that I have ever seen (see, for example, the discussion on the So Long Bulletin re Michael Farrell). Cate Kennedy operates outside this tiny world. But she still produces thoughtful, considered written work that deserves respect.